Scouts can earn merit badges in personal-interest areas such as animal science to wilderness survival. But what if students in schools could personalize their learning the same way? If they attend Parkwood Elementary School, they can. 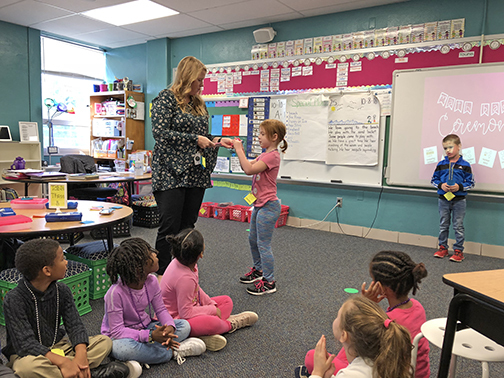 First-grade teachers and the art teacher at Parkwood began a “badging” program this year as a way to personalize learning for their young students. In certain subjects, students earn badges as they master a skill within a unit. They work at their own pace and have choices about which badges they complete and when they are ready to take the assessment to earn their badge. 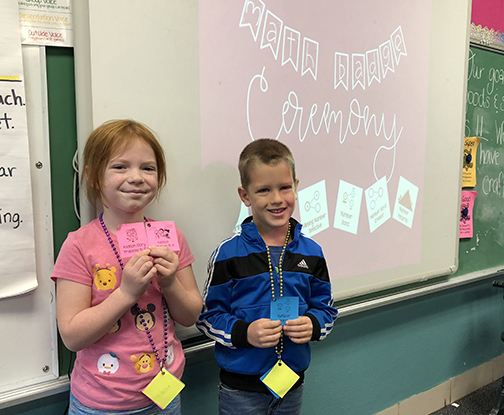 The badges they earn are awarded during special classroom badge ceremonies, so the achievements turn into classroom celebrations. Students are then able to proudly wear their badges on a necklace for all to see. In art class, students went through "boot camp" at the beginning of the school year to learn about different techniques to earn badges. For the rests of the year, they make choices about different art studios they want participate in and continue to earn badges. 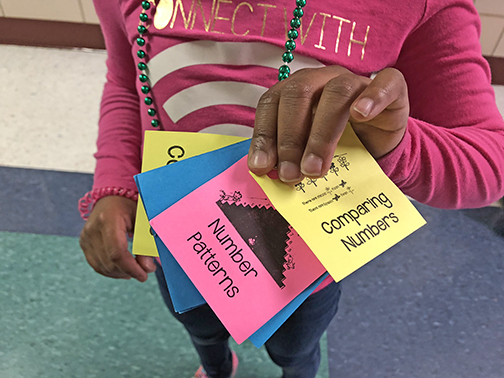 In first-grade math, teachers have organized specific units so that students can make choices and work at their own pace through different number concepts to earn badges. Both systems have created learning structures that are highly engaging and personalized to the students. 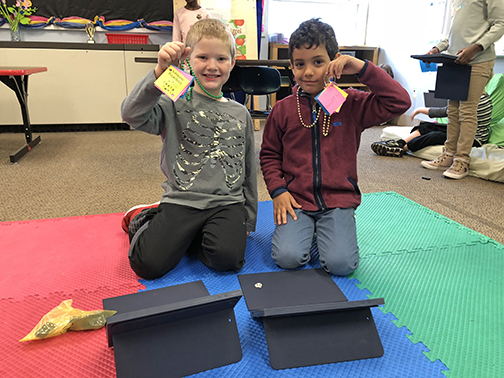 First-graders at Parkwood Elementary School show badges they earned for mastering certain skills in math. A first-grader shows some of the badges she earned in math. Students take part in a classroom ceremony to receive badges they earned. 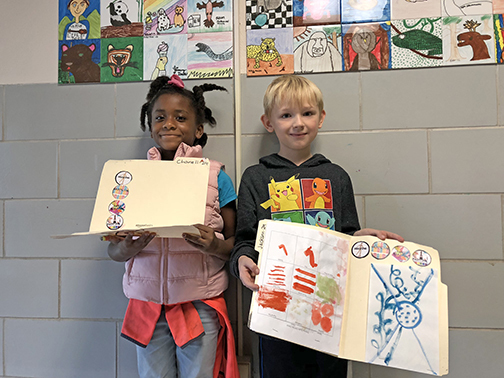 Parkwood students show folders containing badges they earned in art class. 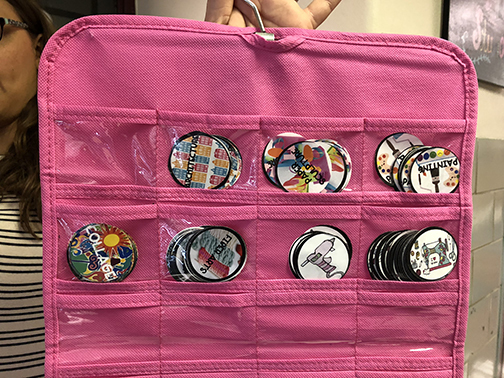 A close up of the different badges students can earn in art class at Parkwood Elementary School.